This Agency was originally founded over 17 years ago. Primarily an estate agent dealing in all aspects of residential and commercial property sales they saw a gap in the market and decided to cater for the local rental market. Back then the Agency was known as PGN Property Services. Over the years they dedicated themselves to providing a high level of service and over time they developed their expertise and knowledge in this area. 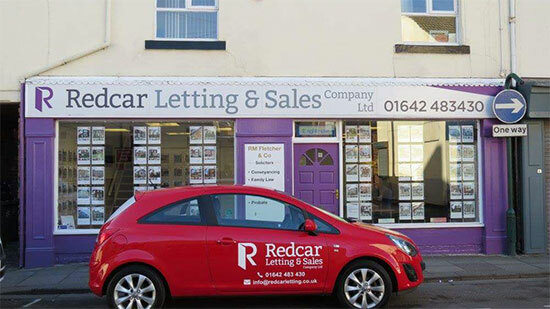 After PGN Property Services enjoyed many years of success, many satisfied customers and large growth of the company, they then developed a dedicated rental company Redcar Letting Company. Eventually in 2015 PGN Property Services merged with Redcar Letting Company and recently underwent an extensive brand transformation and is now known as Redcar Letting & Sales Company. State of the art rental and sales software was also installed to enable smooth management of all their clients’ properties. Redcar, Marske, New Marske, Saltburn, Loftus, Skelton, Middlesbrough, Thornaby, Hartlepool, Stockton, the surrounding villages and towns. One of our primary objectives has always been to differentiate ourselves from other letting agents by providing a service second to none. Our aim is to completely satisfy our clients’ requirements in order that we may have a long and lasting business relationship during the lifetime of the tenancy. A high percentage of our clients are personally recommended to us. We are also members of The Property Ombudsman and The National Approved Letting Scheme so you can be sure of a professional and qualified service at all times.